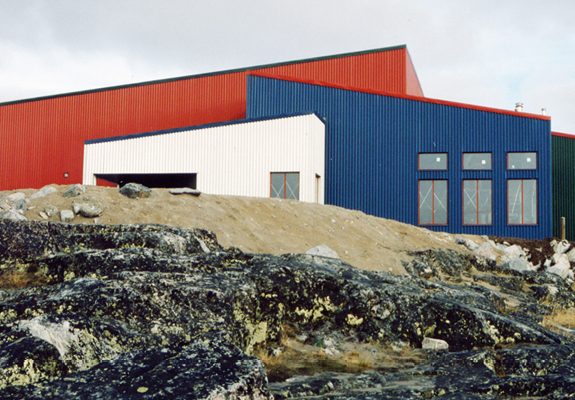 The Inukjuak Community Centre is a multi–functional building that was renovated to respond to the community’s changing recreational needs. The Centre offers great flexibility in order to accommodate various activities and events. 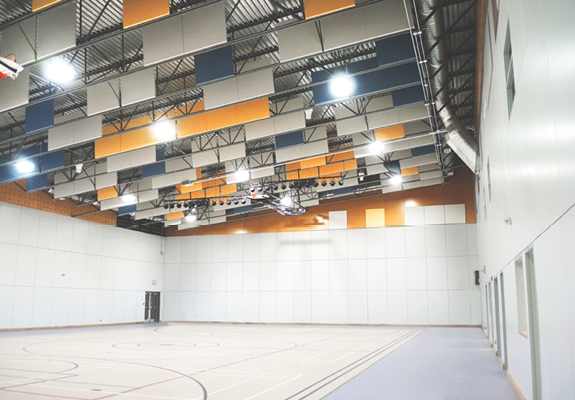 The large state–of–the–art gymnasium is equipped to host events, sports activities and community meetings. The facility also features a commercial kitchen serving group gatherings and cooking classes, and a conference room on the second floor for private group meetings. 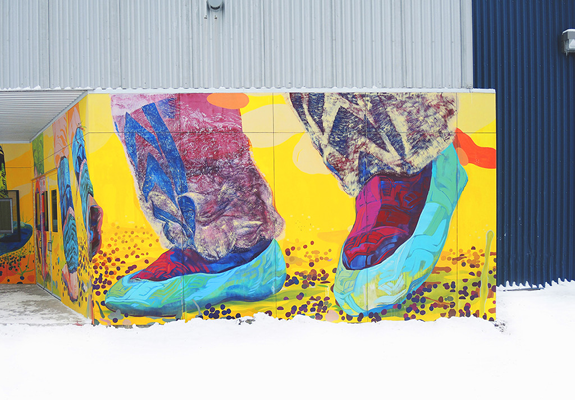 The entrance to the building is marked by a brightly painted mural depicting the community’s passion for folk dancing. The artwork narrative was determined by the community through a variety of public consultations. 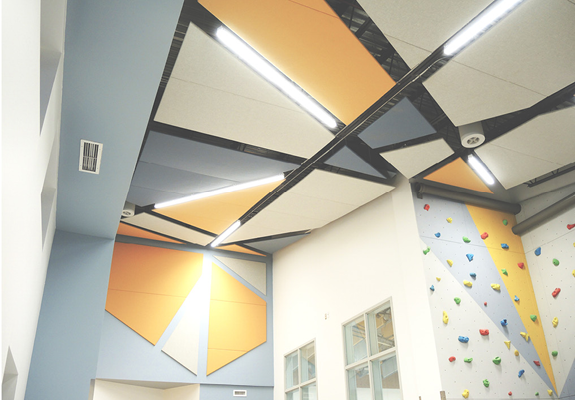 The mural provides a bright and festive welcome to a building that is a central gathering place for Inukjuak residents.